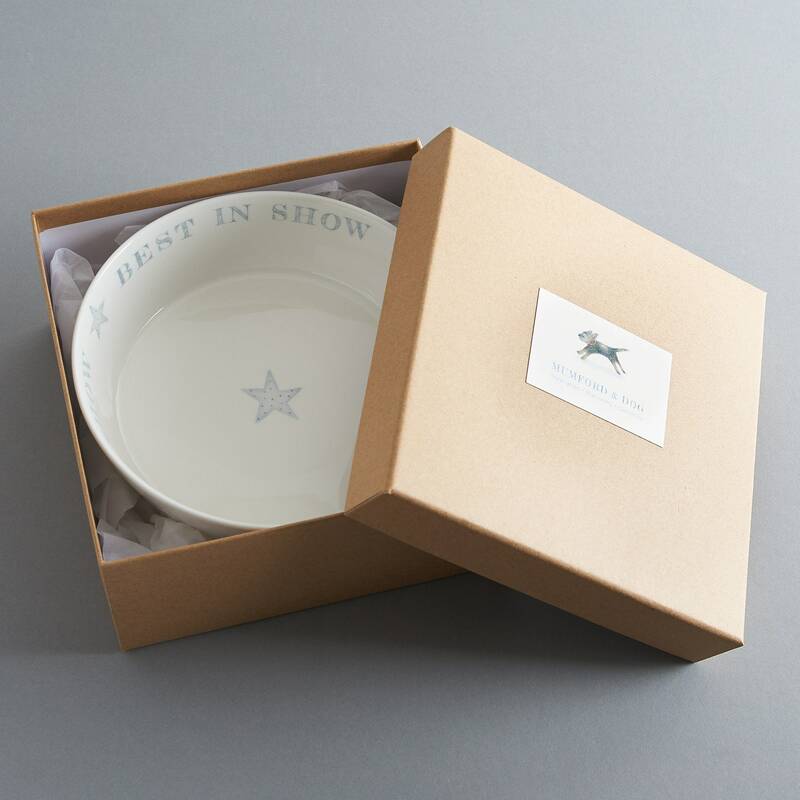 Bone china dog bowl with little blue stars. 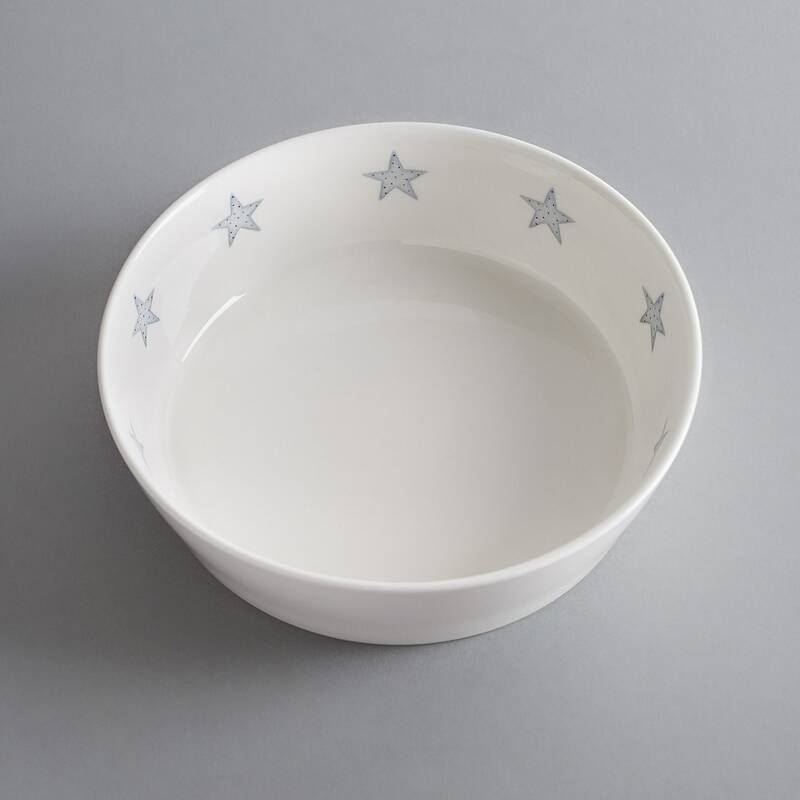 A beautiful bone china dog bowl hand decorated with bones and dotty blue stars. The main photograph is the most representative of colour. Perfect for the discerning dog owner. The images are taken from my watercolour and crayon illustrations and made into ceramic decals. They are then applied by hand to the bowl and fired to a high temperature for a permanent finish. 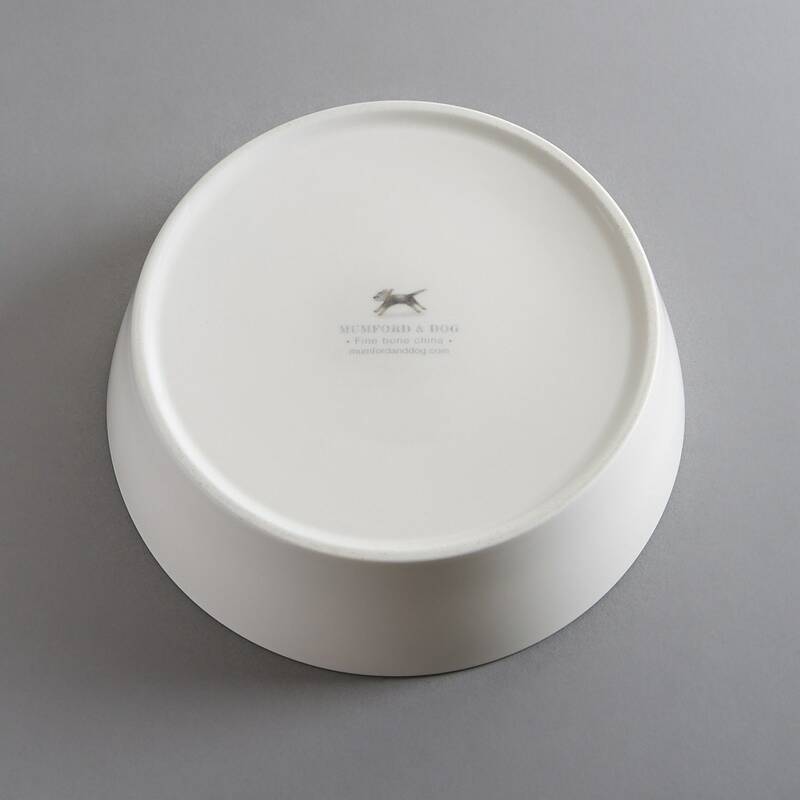 This heavy weight bowl is perfect for a medium sized dog (my border terrier is very pleased with his) and measures 20cm diameter by 6cm high.